Be in an Adam Sandler Movie? 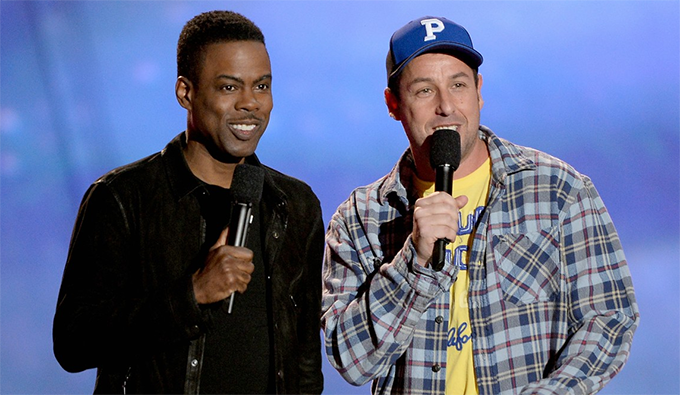 Adam Sandler and Chris Rock are starring in another comedy and people living in the Long Island, New York area have a chance to get into the act. The two comedians are starring in the upcoming Netflix film, The Week Of, which is described as a wedding comedy. Scenes will be filming in the Long Island area and the movie’s extras casting directors are seeking Long Island natives to work as paid extras in the film. According to Rolling Stone, Happy Madison collaborator Robert Smigel is directing The Week Of. Rolling Stone does give some insides into the film’s plot… Sandler’s character’s daughter marries Rock’s character’s son. The film will follow the week leading up to the wedding. Sandler fans will have to wait until 2018 to actually see the film and Netflix has not yet set an actual release date in 2018. The movie is looking to cast talent of all ages, looks and ethnicities in the area and the casting notice below states that the movie will be filming in Long Island NY this month and next. 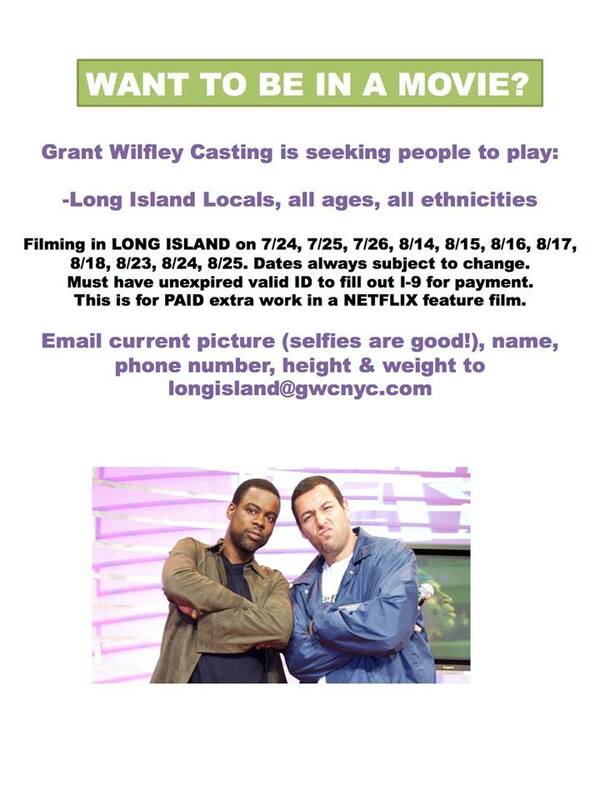 Grant Wilfley Casting is looking for LONG ISLAND FUNERAL ATTENDEES for Adam Sandler/Chris Rock Netflix feature film titled “THE WEEK OF”. SHOOTING IN Glen Cove, LONG ISLAND area on TUESDAY AUGUST 15th, 2017. Must be available full day for work on TUESDAY Aug 15th, FYI we never get exact times until the night before. Seeking all types, all ages…family types, character Jewish and Italian types and also REAL Military Honor Guard & Veteran Types as well. Ages 8-88, all ethnicities. Please submit following info below to longisland@gwcnyc.com and type in the subject line “FB Funeral Goers”! This is paid extra work at $121 for 10 hrs rate! Please send snapshots so we know your current look! My name is Nathan Moss and I am interested in auditioning for the role.